Ahead of their Caf Confederation Cup clash on Wednesday, Asante Kotoko coach Charles ‘CK’ Akonnor has hit back at Zesco United boss George Lwandamina, who described the Porcupine Warriors as a club that have gone past their glory days. The two sides are set to face off on matchday two of the group stage at the Baba Yara Sports Stadium in Kumasi. While the Porcupine Warriors dispatched Cameroon’s Coton Sport Garoua 5-3 on aggregate to make the ‘money zone’ for the first time since 2008, Zega Mambo beat Kaizer Chiefs of South Africa both home and away to make reach the phase. “He [Lwandamina] knows his team. He’s done well, he went to South Africa and won so that probably has given him the necessary confidence to be talking like that,” Akonnor said, as reported by his club’s official website. “But he would know whether we are not as strong as we used to be when we meet and play. “Asante Kotoko were very strong years back, but we have not played at this level in Africa for 11 years. Kotoko come into the Group C fixture on the back of a 1-0 fall to Al Hilal Omdurman of Sudan on matchday one. 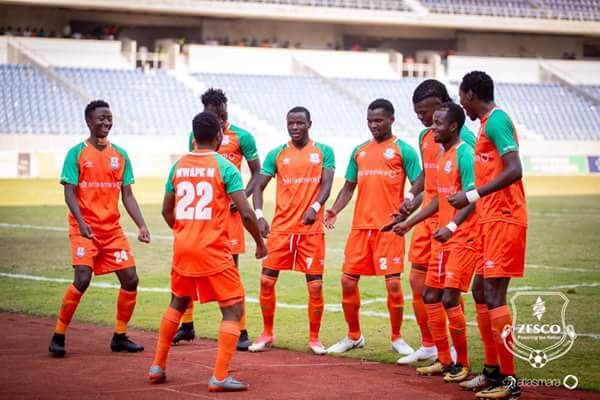 Zesco, on the other hand, handed country rivals Nkana FC a 2-0 defeat same day.